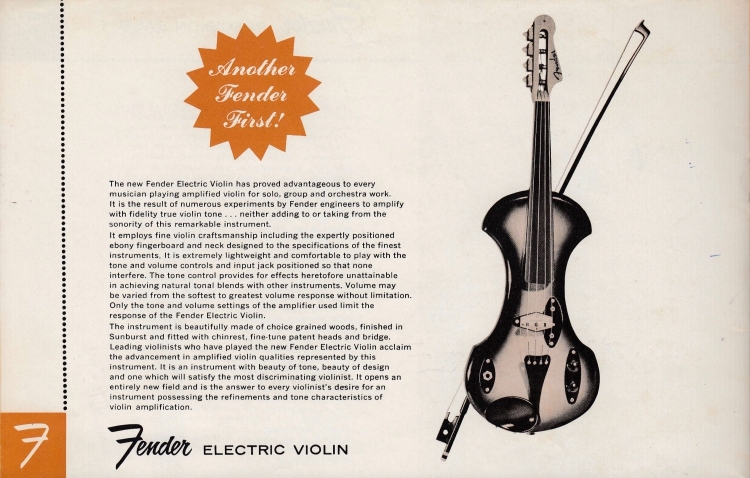 Leo Fender’s first production model Electric Violin clearly never caught on. Bob Wills didn’t take to it, nor did any of the other violinists said to have tried it at the time. The list of players isn’t very long but covers some of the greatest and most popular fiddler/violinists of the era, including Tommy Jackson, Howdy Forrester, Wade Ray, Roy Acuff, Harold Hensley, George Liberace, Dickie Phillips, Cactus Soldi and Spade Cooley. By 1959 the instrument had been withdrawn and Leo never returned to it. It’s possible that just two production models survive today; the first in two-tone, the other in sunburst. 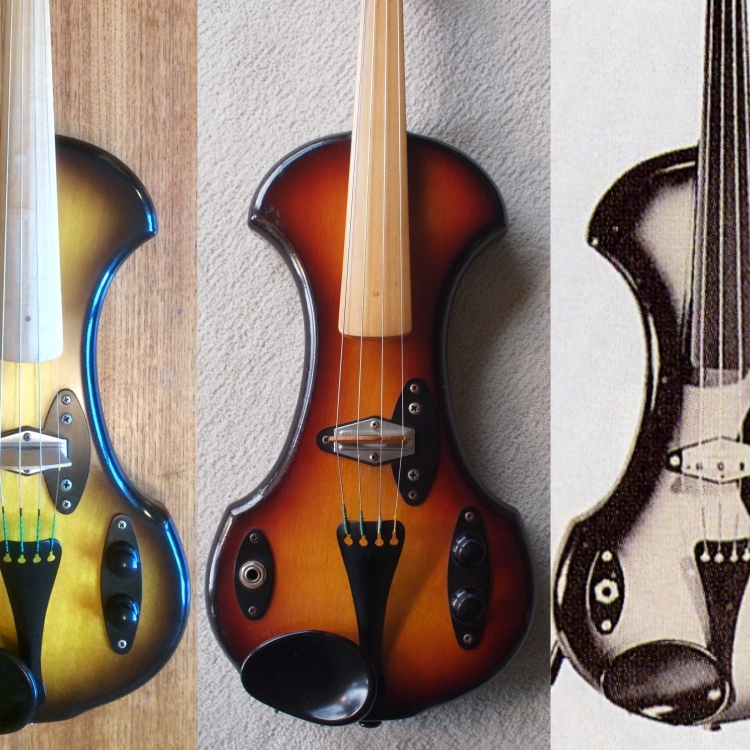 The model advertised in the ‘58 & ‘58/’59 catalogues with ebony fingerboard maybe was never made. 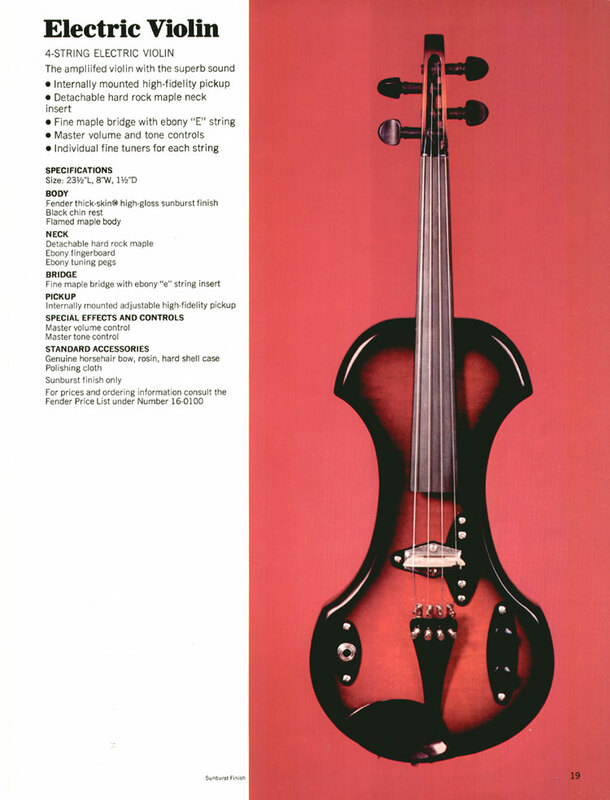 CBS-reissued the violin in 1969, but not to Leo’s original design. 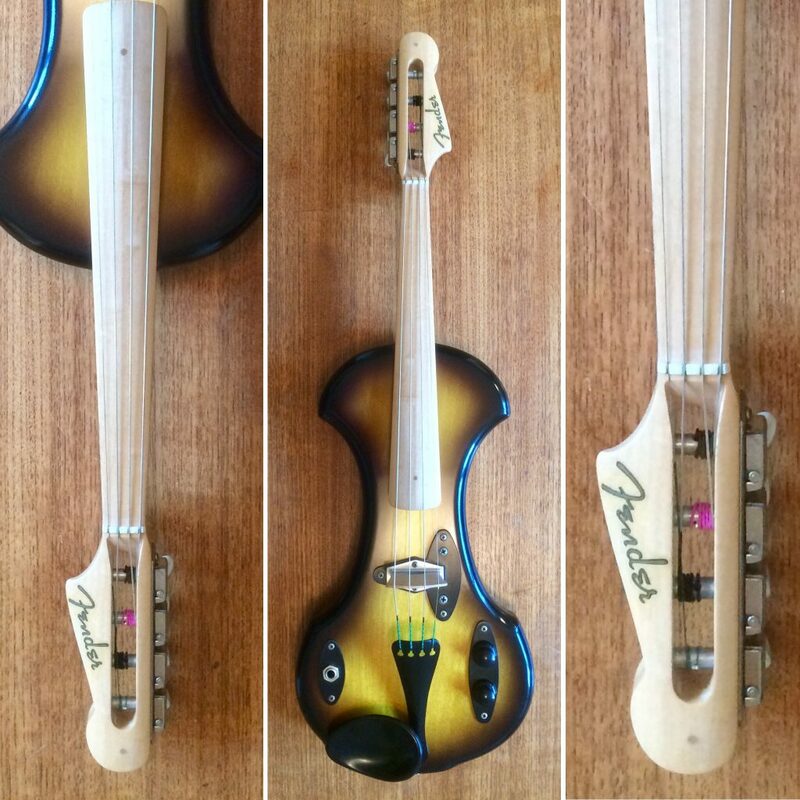 Fundamental changes to headstock, tuners, neck, fingerboard, bridge, pickup plate strap-button and body contours significantly altered the appearance and tone. 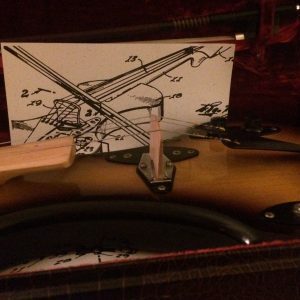 Fender relaunched the electric violin again in 1999, the further change of pickup device made it incomparable to the instrument Leo made. 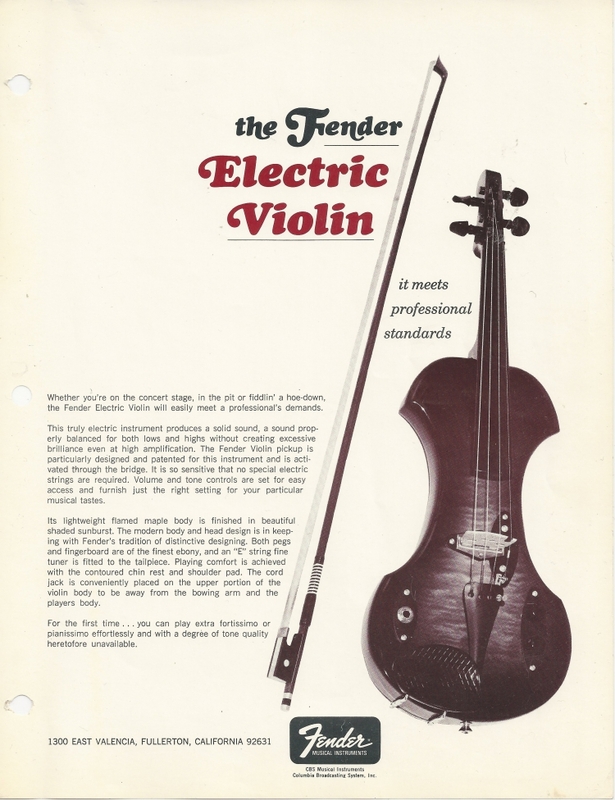 It’s now 60 years since Leo Fender applied for the first ever patent simply to be called “Electric Violin”. 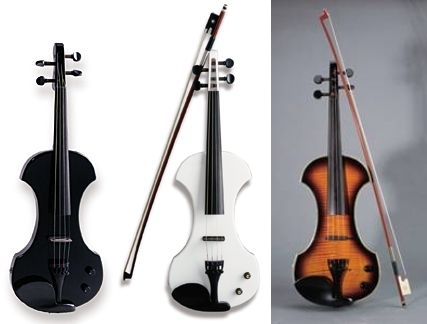 In that time this definition of a violin has found a place in just about every genre and style of music. Although few people know it Leo did successfully produce “Another Fender First”. However, this particular piece of Fender history was not given a proper chance to be heard at the time and has subsequently never been fully explored as Leo envisaged … until now.